From 1 April 2019 the MTD regulations mean all VAT registered businesses with a taxable turnover above the VAT registration threshold are required to keep their VAT records in a digital format. Keeping up to date with new legislation and complying with the ever-growing digital requirements of doing business in the twenty-first century can be taxing. And the new Making Tax Digital (MTD) regulations that will be brought in by the government on 1 April 2019 bring new obligations for IT professionals to help their companies comply. But if you take the right approach to complying with MTD it needn’t be seen as a burden, but rather as a way to drive efficiencies across your company. From 1 April 2019 the MTD regulations mean all VAT registered businesses with a taxable turnover above the VAT registration threshold are required to keep their VAT records in a digital format. 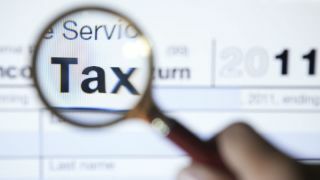 They also have to file VAT returns using software that is compatible with HMRC’s systems. At first this may seem like a headache to cope with and more work required to comply with MTD. But, if you get the right systems in place ready to comply with MTD and invest in automated technology now, you can help your company to speed up key business processes, reduce errors and cut costs. If you haven’t heard of MTD, or you don’t know much about it, you may be wondering what exactly MTD will achieve. In a nutshell, the new MTD legislation signals how serious HMRC is about achieving its long term ambition to be one of the world’s most advanced tax administrators when it comes to digitalisation. And so the argument goes that new MTD regulations will make it more efficient, more effective and easier for businesses to get their tax right. Digital records will reduce the amount of tax currently lost to avoidable errors (£9billion per year) by making the process less complicated and easier for those dealing with VAT returns, thus helping businesses get tax correct every time. MTD will not be mandated for other taxes until at least April 2020, as the government continues to introduce other new digital tax services and regulations over time, but businesses can join the Income Tax pilot scheme now on a voluntary basis. All businesses required to comply with MTD will need to keep digital formats of business records and submit their VAT returns via HMRC’s new digital platform from 1st April 2019. To do this they must use accounting software or a combination of software packages that are compatible with HMRC’s digital platform, or spreadsheets. And from April 2020, data must be exchanged digitally between the software any business uses for processing VAT and HMRC’s digital platform. As MTD puts the responsibility on submitting tax returns to HMRC through a company’s finance system, this makes it vital to ensure the data within the finance system is clean and accurate. To help ensure this accuracy, effective digital systems such as Accounts Payable invoice automation software is available. This software eliminates a huge proportion of manual data entry and handling and therefore significantly reduces human error. Deploying these kinds of automation systems in the Finance department can bring wider benefits. So, getting ready for MTD is also a great time to look at the wider benefits of digital transformation across your whole finance and accounts systems. In fact, further new MTD legislation the government is planning to introduce in future on other areas of tax, combined with existing regulations such as reporting on late payments, mean businesses can no longer afford to ignore digital solutions. Looking at the whole Accounts Payable process for example, as well as reducing manual data entry and associated errors automation can also digitise purchase order matching, the coding and approvals process for non-PO invoices and so provide huge productivity gains and cost savings. AP is an area that many companies struggle with so it’s worth considering why traditional methods are hindering AP teams and how digital solutions can help businesses in a range of ways. Traditional AP invoice processing is paper and pdf-based and involves a lot of manual handling of documents and data. This outdated approach creates numerous issues that can delay the length of time it takes for a company to process and pay an invoice. Paper-reliant systems create issues including time spent searching for lost or misfiled invoices, time taken to manually print and physically file an invoice, and then input it into a finance system. This results in lower productivity and when combined with unavoidable human errors, can all be very costly to businesses. It can cause incorrect dates or amounts to be inputted and delay the payment process, as well as creating even more work for already busy teams. Other problems with paper-based systems include the fact that when invoices aren’t paid on time, suppliers will often re-send them, which often leads to the invoice being processed twice. And of course, one of the greatest hindrances to paying on time is often getting payments approved due to the small number of senior team members authorised to sign them off. Busy managers often neglect to approve them promptly creating a back log and adding time to the process. An invoice automation system eliminates human errors by digitalising invoices, extracting and checking the data for direct insertion to the target finance system, increasing accuracy and making the invoices easy to locate. Introducing an automated AP system also removes the need to print and file invoices as well as manually inputting the information. It also eliminates duplicate invoices as the system will automatically alert you of any duplicate invoices, which means no time is wasted in processing the same invoice twice. Automated digital solutions can also help you pay all your invoices on time by allowing payment approvals to be completed remotely using cloud-based access. This means busy team members responsible for signing off payments can do so where and when it suits them by using a secure login to access the automated AP system via a mobile device or PC. Complying with the new MTD legislation can be seen as more admin for IT professionals that is more of a burden than a help. But introducing automated AP systems combined with MTD compatible finance software to file returns means companies can adopt a highly effective approach to digital transformation and automation. This will not only help to comply with MTD and future tax legislation, but will speed up key business processes, saving time, reducing errors and cutting costs by driving efficiencies.